Need to do some quick taxes before deadline? 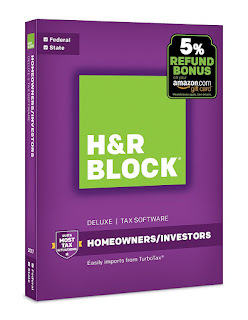 Right now H&amp;R Block Tax Software Deluxe + State 2017 with 5% Refund Bonus Offer ONLY $17.99 (Retail $44.99). -Refund Bonus Offer is a feature of this software and is calculated within the product.